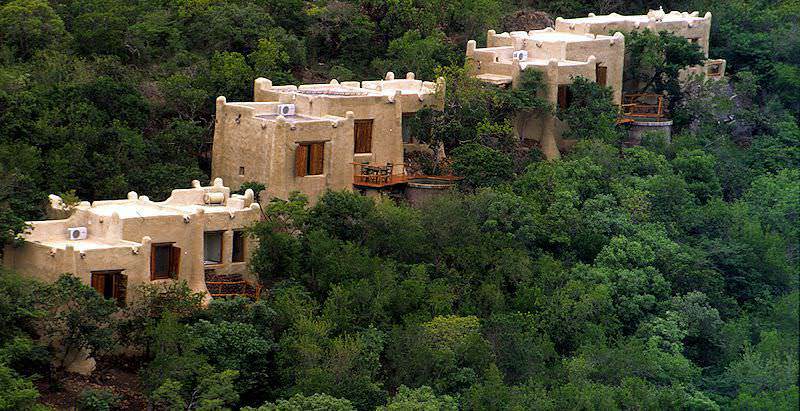 Phinda Rock Lodge is perched on clifftops overlooking the lush Phinda Game Reserve. Rock Lodge is situated against a cliff in the Phinda Game Reserve in northern KwaZulu-Natal. 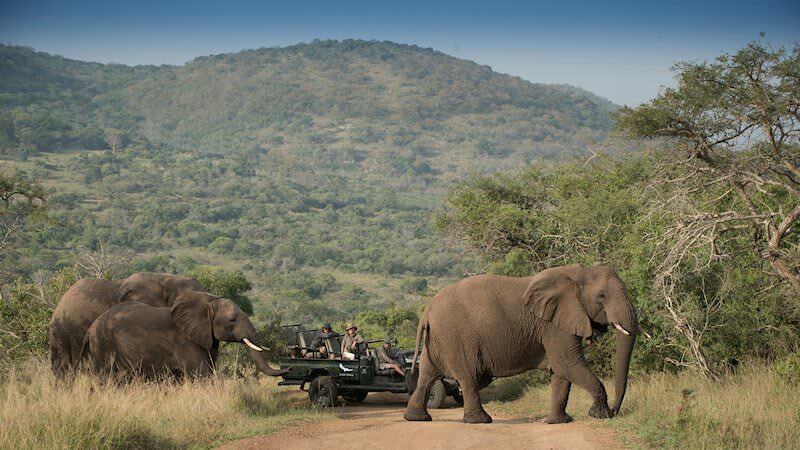 It is one of only two private game reserves in this part of South Africa which are home to the Big Five. The reserve offers a unique luxury South African safari experience in no less than seven different ecosystems. The unique location of the lodge has required amazing architectural innovation and detail, which adds to its charm and character. The suites are perched on the edge of a cliff. All offer sweeping views of Leopard Rock from their verandas and private plunge pools. 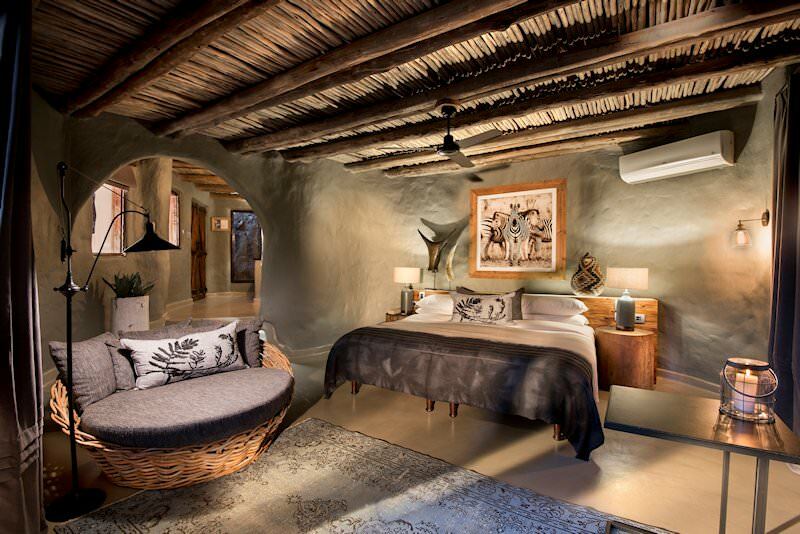 The suites at Phinda Rock Lodge are spacious beyond measure. The lodge's suites are decorated with stunning artwork from Mexico and Spain. The natural colors are warm and welcoming. All the amenities you would expect at a top-end lodge make it the ideal base from which to enjoy a luxury safari in South Africa. Rock Lodge offers two game drives daily, interpretive bush walks with an experienced ranger, riverboat cruises and canoeing. Other activities include horseback riding on the beach, scuba diving, deep sea fishing or taking a night turtle drive when the loggerhead and the leatherback turtles come to the beach to lay their eggs in season. Afterwards, enjoy a delightful seaside dinner. For added adventure, take a flight in a light aircraft over the breathtaking mountains and coastline of the diverse Maputaland wilderness. Guests arrive at Phinda Rock Lodge for their South African safari succeeding their transfer from Richard's Bay via O R Tambo International Airport in Johannesburg. 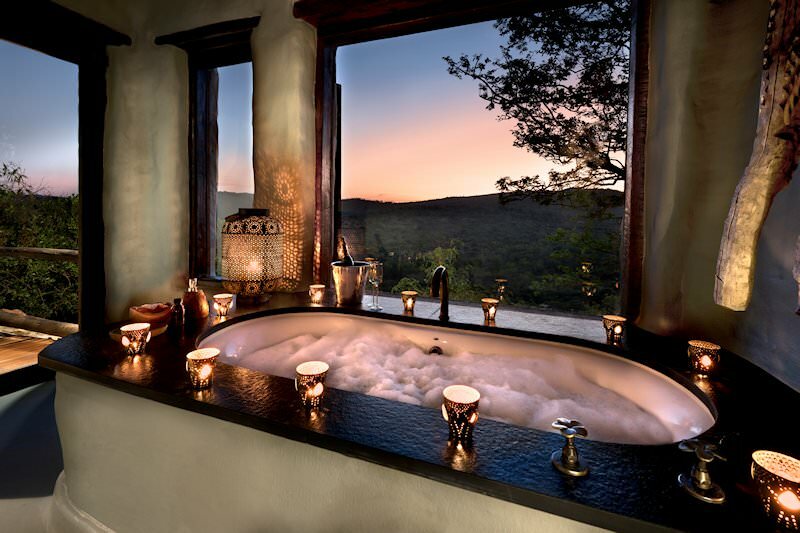 The stone suites of the lodge are perched on a cliff face overlooking South Africa's Phinda Private Game Reserve in KwaZulu-Natal, offering private plunge pools on wooden decks with spectacular views. Two game drives a day ensure sensational sightings of all kinds, from the elusive big cats to the grey giants that roam the valley below. Every mealtime provides dramatic panoramas of the surrounding landscape, from the bleeding red of the morning sun to the amber gold of the sunset. Even showers can be savored al fresco. Optional activities on this safari package include specialist birding, tracking safaris, rhino adventures and whale watching (or whale encounters) in the Indian Ocean. 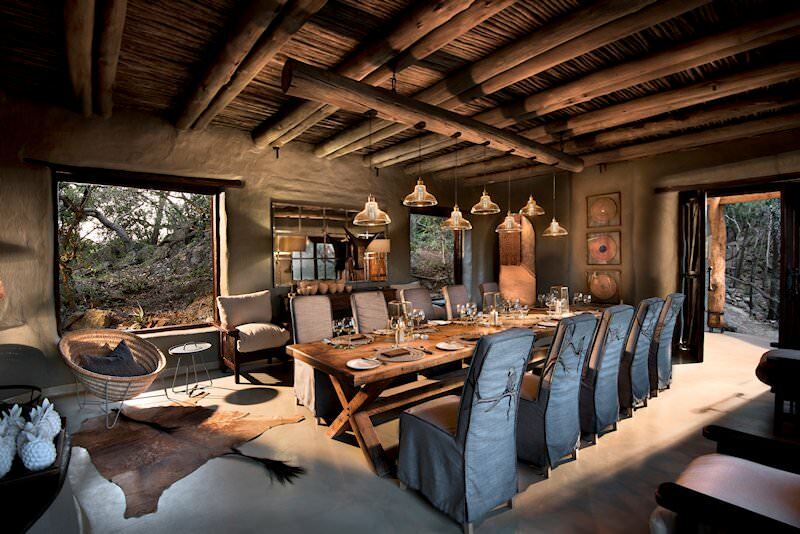 Rock Lodge is one of the two smallest and finest lodges located in the Phinda Reserve. It caters to discerning safari enthusiasts who seek the best available in the area. 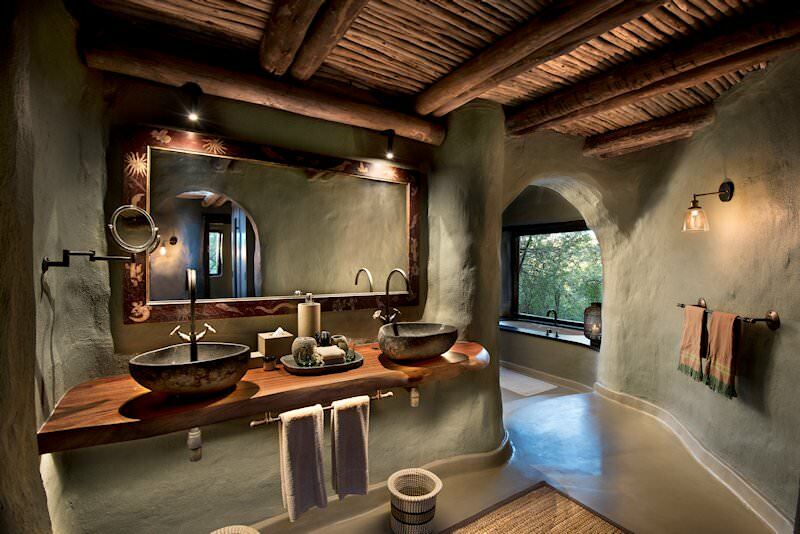 Interesting decor and attention to detail are hallmarks at this South African safari lodge. I very much like the setting and views. The safaris in Phinda are very good and, after Kruger, the reserve arguably offers the finest Big Five safaris in South Africa. South Africa is one of the most diverse safari destinations on the continent. Botswana's pristine wilderness areas offer truly authentic African safaris. Namibia's unique safari destinations range from arid Sossusvlei to the lush Caprivi. A safari in Zambia will often also include a visit to Livingstone to glimpse Vic Falls. Zimbabwe's low-traffic safari areas include Mana Pools and Hwange National Park. Mozambique's beaches and islands are caressed by the waters of the Indian Ocean. 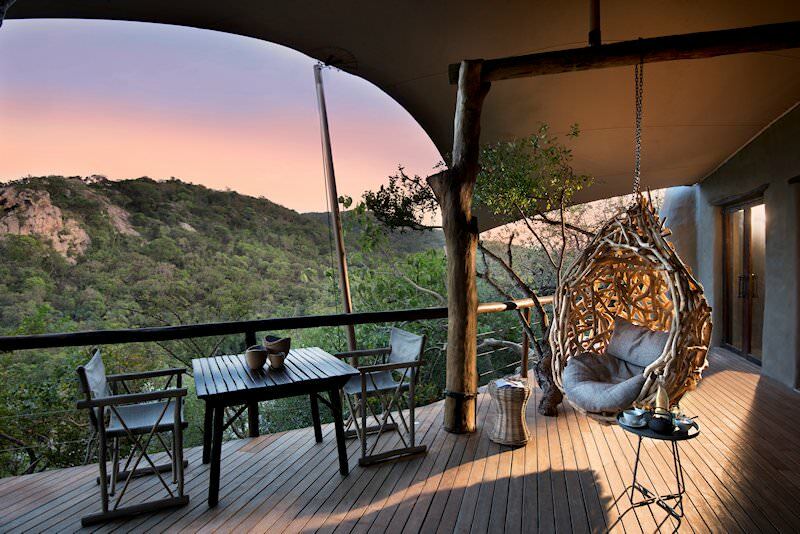 The Kruger National Park hosts a sizable range of accommodation options, from basic tented units to opulent private lodges. We offer luxury safaris to all the continent's most sought-after wilderness areas, from Sabi Sand to the Okavango Delta. The Big Five are the continent's most impressive mammals and include the leopard, lion, elephant, buffalo and rhino. For an unforgettable travel experience that immerses you in the wilderness, opt to visit an African safari lodge.